For the expat living in Prague, January is the time to go shopping. Whether you want the classic souvenir items of Bohemian crystal or Czech garnets, or high street fashion or home furnishings, the January sales are the time to find the best bargains. The sales start around the beginning of January, just a few days after New Years Day and sales can be found in almost all the shops. Prague loves the sales, so like any big city during the Winter Sales, Prague will be busy but it’s worth it to find those special deals. Plan several stops to refresh yourself along the way! The most famous Czech crystal company is Moser, known for its high quality Bohemian crystal and glass. Moser has a large store near Prague’s Old Town Square. Czech garnets are also a popular souvenir. Granat Turnov is the Czech garnet company; when purchasing Czech garnets, get a Granat Turnov certificate stating that it is an authentic Czech garnet. Granat Turnov has two shops in Prague. However, other shops sell their Granat Turnov garnets. All of the major European clothing stores including Zara, Mango, and H&M as well as uniquely Czech stores, including Bata, the Czech shoe store chain can be found in Prague. Parizska Street, with its beautiful architecture and shops such as Christian Dior, Pringle of Scotland, Francesa Lecca, and Lacoste, is worth a visit. Prague has several large shopping malls such as at Andel, but the most conveniently located shopping is in Old Town. Na Prikope, a conveniently pedestrian-only street near Wenceslas Square. 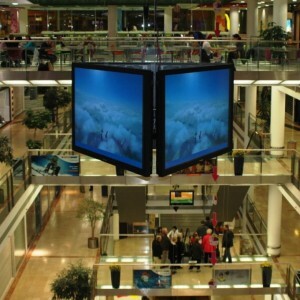 Palác Flóra is one of the larger malls and has huge discounts throughout their 120 shops, over four floors. The department stores in Prague are well supplied with fantastic items of clothing, cosmetics, things for the house and garden, and sporting goods. Kotva is a good option for clothing as well as home and garden items. Tescos is great for groceries, but they also now sell home and garden products. Located in New Town near Wenceslas Square. All new expats in Prague should find the department stores as soon as they settle in as the department stores are a convenient source of all things for the home and lifestyle.